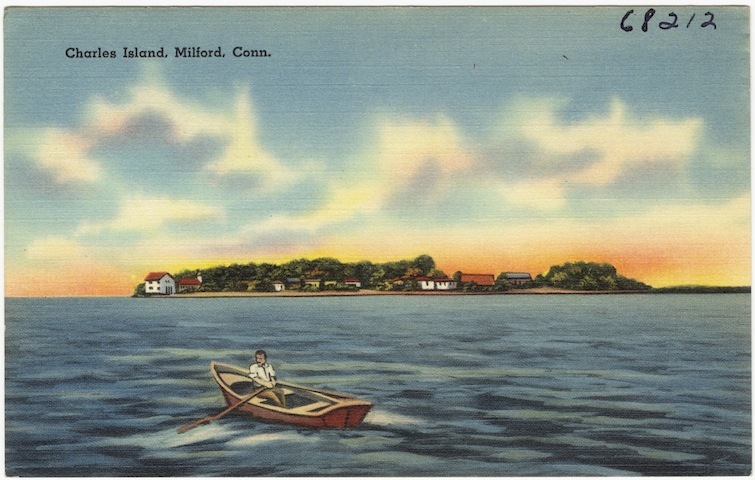 The Native Americans who lived along the shores of (what became) Milford, Connecticut, named a prominent nearby island “Poquahaug” or “Eaguahaug,” probably meaning “cleared land.” Other people later referred to it as Milford Island or Allen Island, but in 1657 the land was provisionally granted to a man named Charles Deal for use as a tobacco plantation and this likely provided it with its most commonly used moniker, Charles Island. In addition to its lovely scenery, a further advantage of the hotel’s location was its ease of access. At low tide, a causeway negotiable by carriages and wagons connected it to the mainland. Visitors arriving by train had the option of reaching the hotel either by carriage or by boat. Excursion steamboats from New Haven also called at the island allowing day trippers from as far away as Hartford to spend a summer day on Long Island Sound, perhaps taking in an “old-fashioned clambake” before returning home. But the days of Charles Island’s service as a trendy resort location were short-lived. 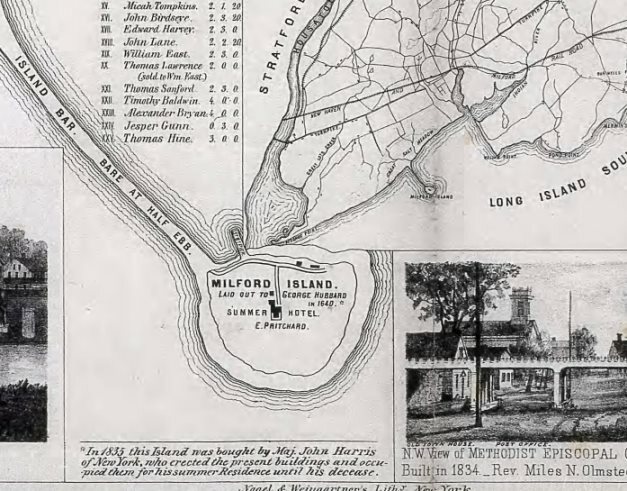 In the years following the Civil War, Charles Island’s reputation as a wholesome family resort began to decline and the hotel closed. By 1868, a fertilizer factory on the island produced a prodigious stench that led to complaints from residents on the mainland. In April 1870, Governor Jewell needed to call out the state militia to break up two prizefights on the island that had attracted a “large party of roughs” who arrived by steamboat from New York City. The resort buildings succumbed to fire in the 1880s, around the same time the fertilizer plant shut down. In the years that followed, the island remained largely uninhabited, but still managed to host the occasional visitor. In 1893, two fishermen became stranded there and had to be rescued when the tide came in and caught them off guard. Then, in 1903, four campers found themselves “storm-bound and starving” on the island and also required rescue. Meanwhile, numerous plans for the island came and went. In 1904, developers considered Charles Island as a possible site for an amusement park (one of the suburban “trolley parks” popular in that era) but the project never came to fruition. Then, with America’s entry into World War I in 1917, rumors emerged that the United States government planned to erect a “powerful wireless station” there and fortify Charles Island to protect Bridgeport and neighboring towns from enemy submarines. 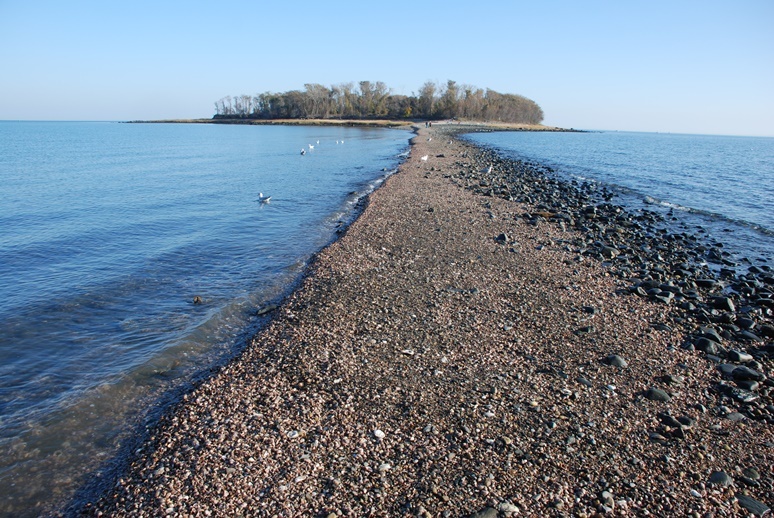 Eventually the State of Connecticut acquired the island and opened it as part of Silver Sands State Park in 1960. Today, Charles Island is maintained by the state Department of Energy and Environmental Protection and is the site of a large heron and egret rookery. Tolles, Bryant Franklin. Summer by the Seaside the Architecture of New England Coastal Resort Hotels, 1820-1950. Hanoverm & London: University Press of New England, 2008.